Water can keep diseases at bay but only if you take enough. Do you want to enjoy a long and healthy life? Stay hydrated! Ever wondered why taking enough water is usually emphasized? Water is an essential part of human life. A human body is often 70% water and thus having this in mind, staying hydrated is very important. Hydration involves taking enough fluids to maintain water levels that you might lose during such processes as respiration, excretion among others. As opposed to other drinks like soda and juices, water helps in burning of calories. Research portrays that human beings lose about 10 cups of water daily through processes like breathing, urination, and sweating. You might fear that by drinking lots of water, you will add weight instead of cutting it. That is a myth that most people believe in. The truth is that staying hydrated control food cravings. Sometimes you might confuse hunger for thirst. Taking cold water is recommended for weight loss. Reports show that the body has to burn up calories to raise the cold water to be at the body temperature. In the process, you lose weight. Doctors also argue that with less water intake, there will be more fat deposits in your system thus weight gain and vice versa. Digestion requires water to take place. Absorption of minerals and vitamins in your food also asks for water. Avoid taking water together with food; instead, take it at least 30 minutes before meals. If taken with meals, it slows digestion and also gives you a false impression that you are full thus affecting your eating habits. Insufficient water supply to the body can also bring about constipation. 3. It Promotes Brain Functioning. Staying hydrated helps your brain cells to circulate fresh blood full of oxygen more readily. Oxygenated blood ultimately keeps your brain fresh as well as alert. A slight drop in your water consumption can bring down your brain performance even up to 20 to 30 %. For optimal functioning and improved cognitive powers take enough water. Muscles once hydrated can work tirelessly and a bit longer periods. It is because water keeps supplying oxygen to it. If you are exercising in hot regions, keep taking water every 15 minutes. When there is inadequate water supply, there will be less oxygen, and thus your muscles generate lactic acid bringing about painful cramps and sprain. If you love jogging or running, you are advised to keep drinking water before, during and after this physical activity. By so doing, you will help lubricate your joints. Failure to do this might lead to cramps and dehydration. One of the causes of unbecoming mood is frequent tiredness caused by dehydration. You can also experience unexplained headaches and lack of concentration in your place of work. Enough water will help curb these and help improve your cognitive ability. For your immune system to resist the thriving of viruses and bacteria, taking plenty of water is a necessity. One of the roles played by the immune system is to eject pathogens. You might wonder how, it is through the use of water. Ensure the water you take is pure to avoid introducing pathogens while fighting others. Your system will be able to easily fight such diseases as flu, heart attack, kidney stones among others. Less water in your body system leaves you intoxicated and prone to infections. Though not easy to see, your body comes in contact with many toxins on a daily basis. It can be through breathing, the food we ingest or even the water we drink. It is advisable then that you take clean plenty of water to help flush out such toxins from your liver, kidneys, joints among others. Bad breath is also an indication that your system is toxic and needs water. Saliva helps rid bacteria from your teeth and leaves your mouth fresh and lubricated. Every human being desires to enjoy good health. 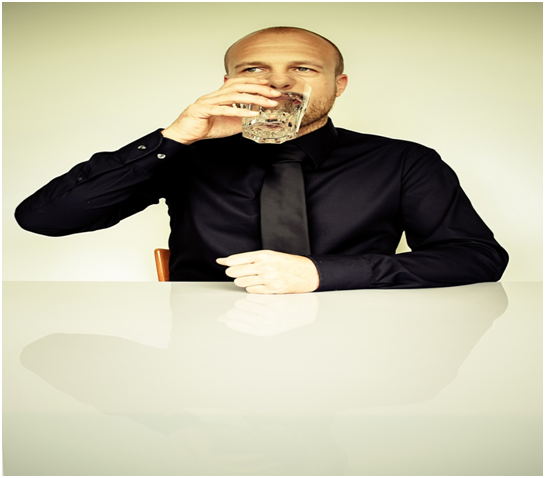 Many do not know that staying hydrated is the greatest secret to this underlying desire. You can decide to have that figure that you have always desired, improve your cognitive powers and avoid your mood swings by taking enough water. You can also bid bye to many diseases by improving your immune system. Your joints’ and muscles’ discomfort can be an issue of the past by drinking your water. As the saying goes, ‘water is life,’ this is true based on the benefits associated with it. You cannot afford to lose these benefits, can you? Monica-Langat is a versatile writer. Her favorite niches are health, education, and Christian. When not into writing she loves spending time with her family. Monica-Langat also loves keeping fit. She also enjoys going out on Christian missions where she teaches her community health-related topics.